SUNSHINE COAST man Brendon Luke Johnsson has poured out his heart to the panel of Bali judges who will decide his fate on drug charges, telling them in a personal statement read to the court that he is a broken man, regretful and remorseful but also changed. 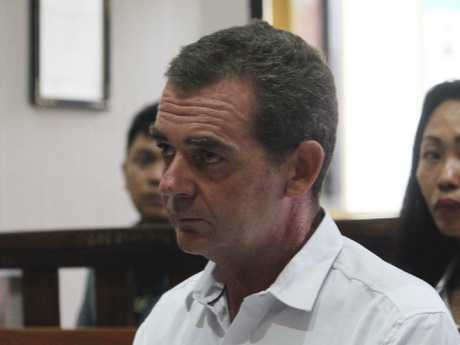 In the two-page personal plea to Denpasar District Court the 43-year-old apologised to his family and to Indonesia and told of the "insidious demons of addiction" which had seen him fail and end up in jail and at the mercy of the courts. Johnsson's statement came just minutes after prosecutors in his case submitted to the judges that Johnsson should be jailed for eight years for his crime of drug possession, sparing him of the more serious charge of drug dealing, which carries the death penalty. The 43-year-old appeared in Denpasar District Court on Wednesday to hear prosecutors outline what sentence he deserves for his role in possession of cocaine in Bali. Appearing with him was his Indonesian girlfriend, Remi Purwanti, 43, who is a co-accused in the case. 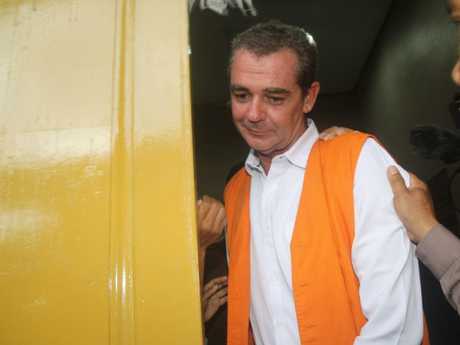 Johnsson's lawyer had requested that his client be allowed to read his own personal statement to the court but the judges asked that the Indonesian translation be read by the translator. "I sit here today with the fate of my life firmly in your hands and in your hearts, humbly and painfully aware that we are here today for one reason. That reason is solely because of my actions ... I am guilty as charged and I take full responsibility for my actions and I am remorseful, embarrassed and ashamed of them," Johnsson's statement said. "I sit here a broken man, a regretful and remorseful man - but also a sober man, a changed man." 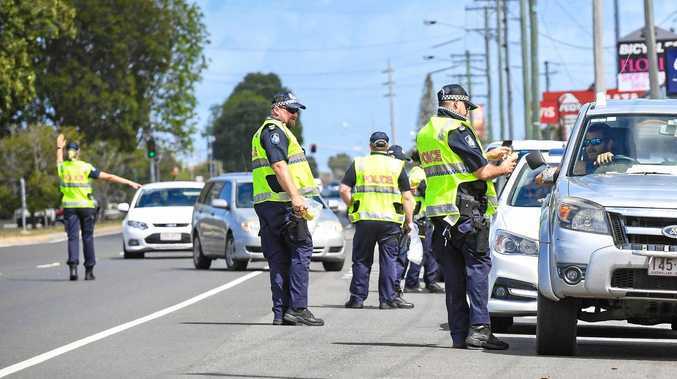 The Queenslander, who was arrested in August 2018, could face the death sentence. Johnsson told the judges that he had come to Bali in the hope of a new life, "away from the demons that have haunted me and held me hostage for over 27 years now - the insidious demons of addiction. I failed spectacularly and unfortunately, I can't go back and change things." Johnsson said he had now been clean from drugs for six months and was feeling the best he ever had, adding that until now he had wasted his life. He also expressed regret that his actions had brought "undeserved pain and shame upon my family". "I deserve that pain. They do not. May my pain also be a good lesson and a loud and clear warning to others with addictions." Johnsson and Purwanti faced charges of drug dealing, which carries the death penalty as its maximum along with an alternative charge of drug possession. Johnsson told the court he had now been clean from drugs for six months. Because they were alternative charges prosecutors only needed to prove one of the charges, depending on the evidence, submitting that both were guilty of drug possession, the lesser of the two charges. Prosecutor Yuli Peladiyanti asked the judges to sentence both to eight years in jail, saying their actions were against the Government's policy to eradicate drugs. She said in mitigation both had confessed their guilt and expressed regret. 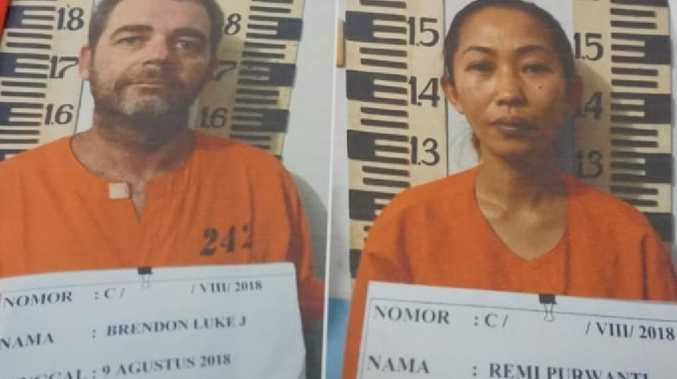 The pair was arrested on August 4 last year at their Kuta home after a police search uncovered 13 plastic packets of cocaine, weighing 11.6 grams. They have been in custody ever since and are now held in Bali's Kerobokan prison. It is alleged that Johnsson bought the drugs in question for RP 40 million or about $A3700 at the time. His lawyers have focused on proving to the court that Johnsson is a long-time drug user. Indonesian law treats users and addicts more leniently. Urine tests on both Johnsson and Purwanti were positive for narcotics. Johnsson was living and working in Bali at the time of his arrest. Another woman arrested at the same time and accused of selling the drugs has already been sentenced to four years in jail. She was pregnant at the time of her arrest and has since given birth while in jail. In her case prosecutors had demanded a six-year sentence. Judges will hand down their verdict in the case on February 20.